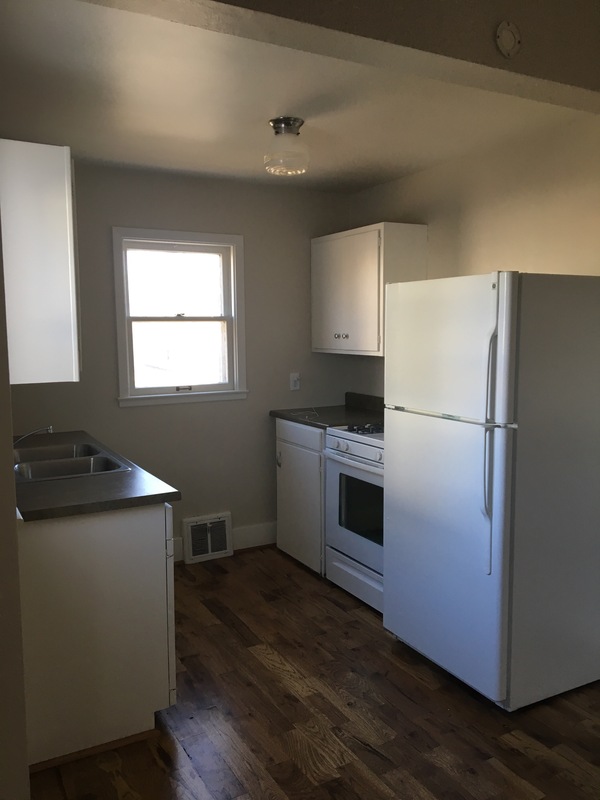 We are ready for our first tenants at Boarding House to move in! 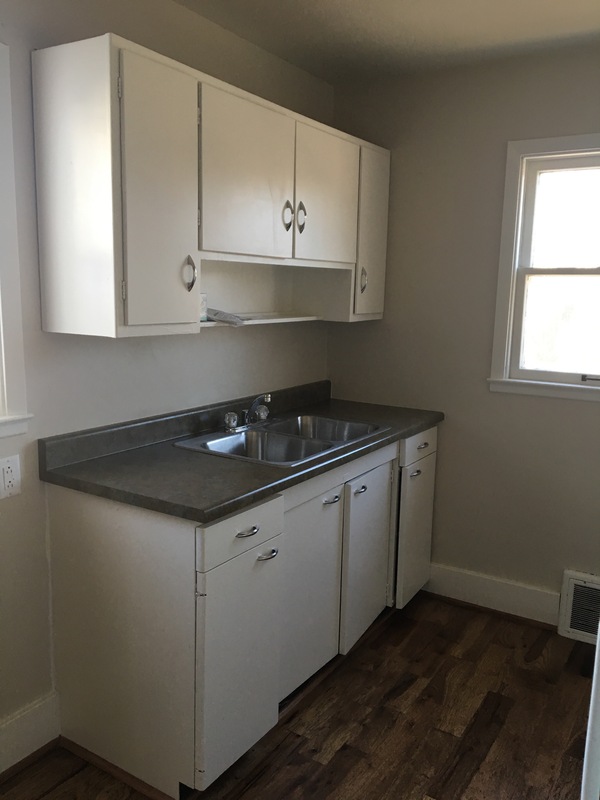 Here are the before and afters of the first apartment we tackled here. And here it is now. we painted the cabinets Alabaster by Sherwin Williams, polished the chrome hardware and chrome light fixture. we knocked out the counter separating the kitchen and living room, which made it possible to add a full sized gas range. Wall color is Edgecomb Grey from Benjamin Moore. This is the living room. the narrow oak we found under the carpet was in tough shape and did not have enough thickness left to refinish. Instead we installed “cabin grade” hickory. It was only about $1.25/sq foot! We stained it and had it professionally finished. Last but not least… the lovely bathroom. 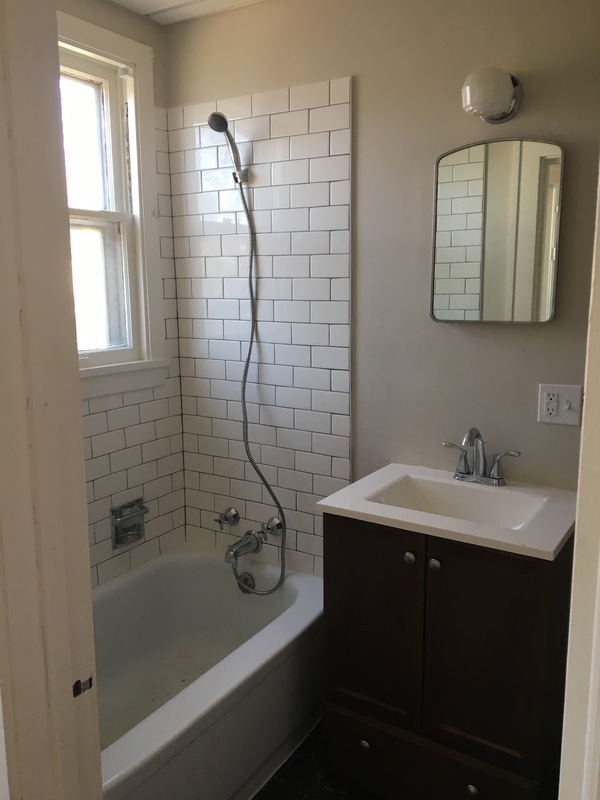 All we had to do in here was subway tile around the tub, add a shower attachment for the faucet, and paint the walls. The mirror and light were already there and just needed to be polished and cleaned. 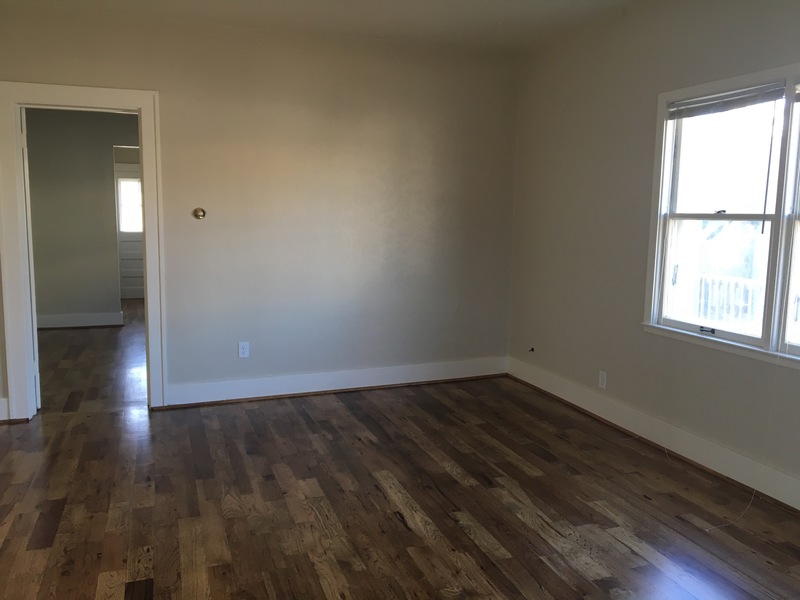 This space is not fancy, but it is clean and bright and will make a great space for someone to call home. Love the hickory. Where did you get it?